In my short seven months working as a law clerk in the family court system, I have observed that what a case legally “should be” about and what it actually is about for the people involved are rarely identical; especially in divorce cases revolving around a monetary award, it’s hard for me to believe that we hear days of motions and testimony only to produce a sum that will be half-consumed by attorney fees. I have to suspect that something else is going on there. "There has always been the divergence between our official and unofficial heroes. 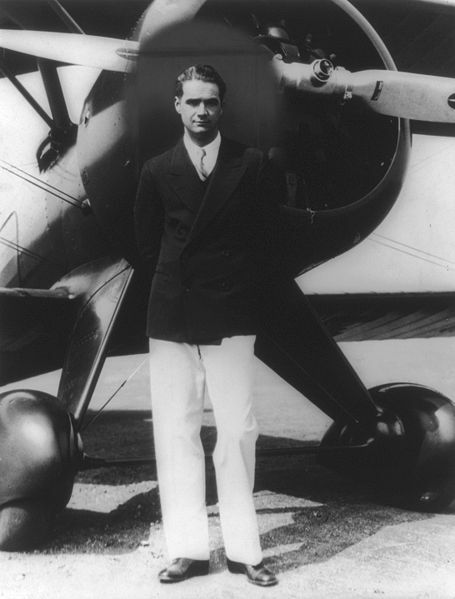 It is impossible to think of Howard Hughes without seeing the apparently bottomless gulf between what we say we want and what we do want, between what we officially admire and secretly desire...In a nation which increasingly appears to prize social virtues, Howard Hughes remains not merely antisocial but grandly, brilliantly, surpassingly, asocial. He is the last private man, the dream we no longer admit." Howard Hughes represents the great undesirable, the ugly mass inside each of us that we secretly are but want to pretend we aren't. However, our cultural captivation with the likes of Howard Hughes reveals us: we do not always want what we say we want. I think divorce cases can get lost in this bottomless gulf, between what the parties say they want--spousal support, ownership of the house, their 2007 Pontiac Grand Prix--and what they actually want--namely, to be made whole again. This is not to say that parties don't want things like spousal support and their car: they do. But they want something else much more. These people want their happy relationships back. But, in divorce court, that is the dream they no longer admit. I didn't realize the point of this blog was to self-aggrandize and never write anything else. @GH: Maybe not THE point, but definitely A point. @TeacherPatti: Thank you for nice and supportive note! I think Damn Arbor has a long and proud history of posting links to our authors' articles on other sites. Recall: my link to Quinn's Adios Barbie post; Erika's link to her DetHuffPo post; Quinn's links to her articles on the Washtenaw Voice.